FencePro Inc is one of the most well respected companies to call for fences Jacksonville. Our company’s focus is on new fence installations but we are available for any fence repair you may need as well! FencePro Inc is now also carrying fence parts that are available for all of the do-it-yourselfers in Jacksonville. We build all of our own wooden fencing to make sure it meets our level of quality and standards. If you have ever had a wooden fence gate you already know that the gate can be damaged easily. They start to sag to the point where you have to pick of the gate to open and close it. Even then it does not line up with the latch. Unfortunately most wooden gates are not built to last. We build our own wood fences and offer a welded frame on all wooden gates for better durability. Building our own wooden fencing allows us to keep our prices lower too. FencePro Inc offers quality products at a fair price. We have 28 years experience installing fences Jacksonville Florida residents. Our mission statement is “The best form of customer appreciation is a job well done.” FencePro Inc has a 5 star rating on Servicemagic, an A+ rating on Angieslist, a clean record with the BBB as well as Consumer Affairs. From the first contact to the completion of your fence and even a follow up after the job is finished, you will always deal with the owner Irwin Silverman and will never have to deal with talking to a salesperson or crew member. 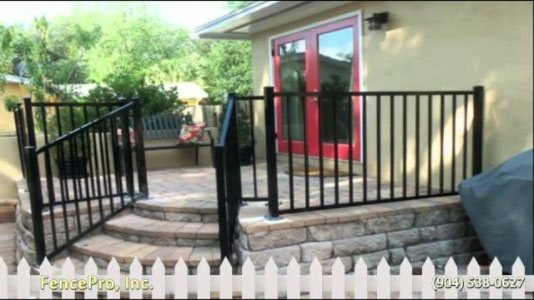 What Sets FencePro Inc Apart From the Other Jacksonville Fencing Companies? Warranties are important with any service based company. Any fencing company can offer a warranty, but the only thing that is really important is a company’s willingness to back up those warranties. FencePro has warranties put in place for a good reason. Warranties are meant to tell a customer that if something does not meet their standards it will be fixed. Warranties are not just words to us, our warranties are our bond. When we say we are going to do something, we do it. Proper procedures are imperative in the fencing industry. Every fencing company should pull the proper permits before the fencing project begins. Some fencing companies will not discuss permits with you because they may not be filing the proper permits or do not want to discuss who will be responsible for the fees associated with the permits. More importantly you or the fencing company are required by law to call and have local utility companies locate utilities under ground to mark them. You can dial 811 and they will send someone out within two business days to mark the utilities with paint and flags. There is nothing worse than a disgruntled neighbor. Well there is one thing worse, being in a property dispute with a disgruntled neighbor. We have lost the ability to count the number of times we have been called to a property to move fences to the actual property line between neighboring homes. An experienced fencing company will know how to properly read property lines. Many homeowners will find themselves in a property line dispute because the fencing company they hired did not know how to or care to properly check property line boundaries. FencePro will dig up the property irons so we know where the property line is every time. FencePro does not do guesswork we only install a fence once we are absolutely certain of the property line. Our fencing company will go the extra mile to even help you with your HOA so you can get approved for the fencing you want in a more efficient manner. Yes. We Broke It, but It’s Not Our Fault. Most Jacksonville fencing companies will not repair something if they break it. When a fencing company is digging in the yard it is a common occurrence for a sprinkler line to break. Underground dog fences are notorious for being broken as well. Most fencing companies will have you sign a waiver that they are not responsible for any damages underground. Why would a fencing company need you to sign a waiver? We think if a fencing company breaks something they should fix it. 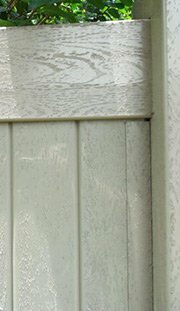 FencePro fixes anything that gets broken during the fence installation process. The most common thing to be broken is a sprinkler line. It is hard to believe that some fencing companies are not willing to fix a problem they have created. We want to create a fencing solution for you and not a fencing problem. Thank you for considering FencePro Inc in Jacksonville for your fencing project. We hope to be able to work with you in the near future. Call us now and experience what true customer service is all about!